Analysis: Sentiment has increased along with the indexes. Although not completely in the danger zone, sentiment is getting frothy again. The VIX reflects complacency (again). The uptrend seems intact as the indexes rose back above their moving averages. This is an important week: If the indexes remain above their moving averages, the market is going higher. If not, it will be a rough ride. Note: Long term, I am looking at 1959 on the S&P 500 as the line in the sand. If it drops below that, look out below. Opinion: As I mentioned last week, Dow 17,000 was a real possibility, and it happened, thanks to a big boost from the Bank of Japan. As a result, the market rallied on Friday (as well as on Thursday). As I wrote in my latest column for MarketWatch (coming out this week), Friday’s rally was a head fake. It appeared strong but in fact there was little institutional support, breadth, or volume. Although amateurs might think it was a good day, in fact this market could run out of steam quickly. As I’ve repeatedly said in the past, I believe this market is still too dangerous to enter. 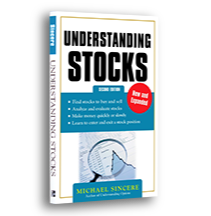 Note: If you feel you must be long this market and can’t bear to miss out on any short-term rallies, consider buying call options (this is only for knowledgeable traders or those who read my book, Understanding Options 2E). Buying call options is speculation, and most speculators lose. Nevertheless, call options can be profitable if you are right about the timing and direction of the market or individual stocks. Bottom line: It should be a volatile week because of the election, and second thoughts about the surprise BOJ announcement. Moving Averages (daily): The S&P is slightly above its 100-day moving average and slightly below its 50-day moving average and pointing up. It bounced back above its 200-day MA. Analysis: The Fed stopped the carnage and led the market higher last week. In fact, the S&P 500 was up 5.5 percent for the week, its best weekly gain in nearly two years. The markets needed to repair the technical damage from two weeks ago and it did. The moving averages are now pointing up along with MACD. Retail investors threw caution to the wind and are back to feeling bullish. Surprisingly, financial pros and writers are feeling a little less exuberant. Bottom line: As we enter the coming week, there is a bullish bias thanks to the Fed’s words and anticipated actions. The Fed is playing with fire but they can’t help themselves. They do not want the market to plunge. They use words and actions to reverse any downward momentum, and they’ll continue to do so. In the future, if the market falls by an extreme amount (to the Fed, 7 percent is extreme), they will bring out the cavalry. I’m impressed because so far the strategy has worked, but it’s a dangerous game. Not surprisingly, the masses believe the Fed can do no wrong. If the Fed is right, the economy will improve enough to bring real buyers into the market. But if the Fed is wrong, this thing could unravel quickly, and create problems in unanticipated places (it already has). With debt levels so high, with the Fed actively participating in the market, commodities getting smashed, bond yields plunging, and the market at all-time highs, it’s an unpredictable market. And yet, the Fed could continue QE for months or years. Right now, I cannot predict what the market will do this week. 17,000 is a real possibility. On the other hand, if outside events take a turn for the worse, even the Fed can’t stop the stampede out the door. Bottom line: The Fed has the tools and the will to take the market higher, but eventually the scheme must end. All we can do is wait and watch. Moving Averages (daily): All the indexes are below their 50-, 100-, and 200-day moving averages, and pointing up. Note: The Russell 2000 is in a correction. Analysis: It was another wild week. 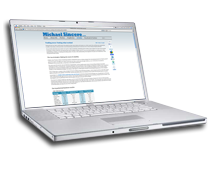 Sentiment retreated along with the stock market, especially among pros and financial writers. Nevertheless, most are still hopeful we’ll have a year-end rally. Retail investor sentiment took a dive during the week, although I’m sure they were cheered by Friday’s bounce. The VIX also spiked as volatility returned to the market. After a 1000-point drop in the Dow in two weeks, some investors were caught off guard. Even with Friday’s Fed-inspired rally, technical damage has been done to the indexes. It seemed impossible two weeks ago but all the indexes are below their 200-day moving averages. Opinion: Last week was profitable for the bears. Nevertheless, the market was headed even lower when Fed member James Bullard single-handily reversed the market’s plunge (down 460 on Thursday at the low before reversing), which also helped to move the market higher on Friday. The market was saved by the Fed, who always seems to appear at just the right time. This week will be very important. It will take a lot of smooth talking by the Fed (and Wall Street) to win back those 1000 lost points. As you know, the Fed has done it before: Remember QE2 (Nov. 2010), Operation Twist (Sept. 2011), and QE3 (Sept. 2012). There is little doubt in my mind that if the market keeps plunging, the Fed will initiate a new program. If you are new to the stock market, you might think that the Fed has always interfered in the market. In reality, before Fed chairman Greenspan, the Fed generally took a hands-off attitude towards the markets. The interference of the Fed into the markets is unprecedented. One thing is certain: If the Fed tries to talk up the stock market or create a new program, and the market keeps falling, all hell will break loose. Put another way, investors believe the Fed and their programs. If the Fed ever loses credibility, the markets will plunge. There is an old Wall Street adage: “No one is bigger than the market.” We will put this proverb to the test this week. As I’ve warned for weeks and months, this is still a dangerous market. In fact, I stand by my last MarketWatch column (http://goo.gl/oC9rEJ). If you are shorting with inverse ETFs or put options, be prepared for dramatic Friday-type spikes. If you are long, however, your main hope is that the Fed and positive earnings will save the day. At the moment, it’s too early to say we’re in a bear market, but signs are pointing in that direction. In a bear market, those amazing one-day rallies are common, but they don’t last long. If the market fails to make back those lost points and the rally fails, the odds are good the bear has arrived. However, most investors believe the correction is over and it’s a buying opportunity. If they’re wrong (and I believe they are), the market will keep falling. On the other hand, if I’m wrong, those 1000 points will be made up lickety-split (i.e. quickly). I can’t wait to see who is right. Bottom line: It’s not nice to fool with Mr. Market. There could be unexpected and dangerous consequences. For now, be on the lookout for failed rallies. If investors get their wish this week, the market will calm down and volatility will decrease. It’s possible they will get their wish — for now. Moving Averages (daily): All the indexes are below their 50- and 100-day moving averages, and pointing down. All the indexes are either below or at their 200-day moving average and pointing down. Note: The Russell 2000 is in a correction. Analysis: Last week was a tug-of-war but the bears won, especially on the Friday close. The bulls had one good day during the week but it was a head fake. Technically speaking, serious damage was done to the indexes. In fact, the charts look horrendous. If all the indexes fall below their 200-day moving averages (the Dow and S&P are slightly above), expect more pain if you are long. Sentiment has pulled back a little but most financial writers and the Wall Street crowd are still bullish. (It takes time for people to believe there is a trend change.) The VIX spiked as volatility increased, so expect to see more VIX spikes as investors wake up to a new reality. The odds are good that the bears are going to have a good week. Opinion: I hope you are paying attention. A few commentators recommended that this is the time to go fishing, but they are wrong. This is not the time to relax. As you know, I’ve recommended “sitting and waiting” for a long time, but that’s over now. Now it’s time to get off the fishing boat and bring your “A” game to the market. Right now, it appears the uptrend is faltering and that the bull market is coming to an end. This week will give us more clues. If the bull market is really ending, expect a lot more volatility. Judging by the charts and indicators, this seems like the real deal. As always, the Fed is ready to step in and try to prevent a stock market disaster. Everyone will be watching to see what they will do and say. In fact, if the market falls into the abyss, it’s guaranteed the Fed will announce a new program (Operation Twist 2? ), a new promise (low interest rates forever? ), or anything to stop the carnage. That’s when it will get interesting (and more volatile). As I wrote in my newest column for MarketWatch (http://goo.gl/8pEsCL), instead of buying on the dip, it may be time to sell on the rallies. As for me, I added heavily to my short positions during the week, usually on the rallies. 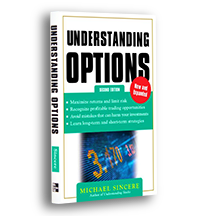 I also speculated with put options (read my book, Understanding Options, if you’ve never bought or sold options). My short trades were very successful, which tells me I’m on the right track. Still, it takes more than one good week to confirm a trend change. Currently, most investors do not believe the market is any imminent danger. Only two weeks ago, investors were convinced the market will go up for the next two years: Dow 18,000 was within reach. Nevertheless, it takes a long time for investors to change from overconfidence to fear. 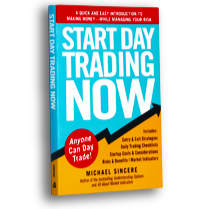 As the market gets more volatile, this is also when day traders will shine, but again, take profits quickly (although that is an individual decision). If you are not comfortable trading during a bear market, it’s understandable. It’s not an easy environment. In that case, it’s best to stay on the sidelines in cash until the bear market is over (it can take months and even a year). If this is a confirmed bear market, it can start slowly but end in a spectacular fashion (i.e. crash or capitulation). Hold onto your seats because there should be fireworks this week. With trillions of dollars in long positions, many investors are going to grit their teeth and hold, that is, until the pain gets too great. The most bullish commentators are promising a beautiful year-end rally, but I’m not convinced they are right. Bottom line: This is going to be a very wild week. Be prepared for anything. Moving Averages (daily): S&P 500 is slightly below its 50-day moving average, and pointing up. Note: The Russell 2000 is well below its 200-day moving average and is in a correction. Analysis: It was a volatile week for the markets. The Russell 2000 entered into a correction with a 10 percent YTD loss. The Dow ended the week in the red although it was saved from the abyss by a Friday rally. The S&P 500 is slightly below its 50-day moving average, but it could have been a lot worse. Because of last week’s volatility, retail investors lost some of their hubris (sentiment fell), but professional investors remain bullish. Financial writers are also in the bullish camp, and Friday’s job reports helped make them believers (although the data was mixed). Not surprisingly, cracks keep appearing. For example, technical indicators such as MACD turned down. All of these mixed signals is a clue the market is still dangerous. Opinion: If you only watch the Dow, as most people do, you may think that all is well. After all, although the S&P was down for the week, the Friday blowout rally gave hope to the bulls, who do not want to believe the party has ended. But if you dig below the surface, there are a lot of red flags, some of which I mentioned above. Brewing beneath the surface, you have the Ebola virus. This virus must be kept under control, or the emotional, physical, and economic damage will be severe. You already know of the other geopolitical problems, including Hong Kong, which could get messy. Any of these events could turn into a Black Swan. This week will tell us if Friday’s rally was a one-day wonder or the continuation of the uptrend. In my opinion, jumping in the market at all time highs with low volume is too dangerous. Yes, the market could go higher, but based on sentiment and technical indicators, I believe we’re topping out. It will take a lot of buying power to move this market higher, which is why I’m watching and waiting. If the market sells off during the week, it will confirm this market is topping out. A tremendous amount of energy was used to keep the market from falling last week. What I mean by energy are massive computer buying programs. I can’t say who is doing all of the buying at key times during the day but it’s not retail investors. The next week (and the next two months) are extremely important. This is the time to bring your A-game to the market. In addition, keep your eye on the bond market, which may create future problems. It’s also fascinating that commodities are getting crushed. It seems as if the investing world is split into two major camps. The bulls believe the market will keep going higher and higher with help from their friend, the Fed. This side believes that Dow 18,000 will be reached by January. Their strategy is buy and hold because everything is going to be all right with few hiccups. The other side (the one I am on) is suspicious of this so-called bull market. Even if you ignore all the geopolitical problems, the market is telling us that all is not well underneath the surface. Of course the market can still go higher, but one day there will be a price to pay. In my opinion, that day is coming ever closer. The best advice is let the market have the final word (it always does). Although testing the market with small positions is recommended, it’s not the time to make extremely big plays (unless you are a confident speculator or brave). 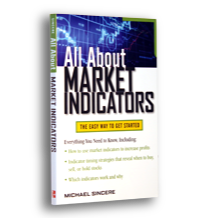 Bottom line: Judging by the indicators and clues, it is impossible to predict which way the market will go this week. I am on the lookout for failed rallies.